When a married couple parts ways and one or both spouses own an interest in a business, it’s critical that they retain valuation experts – or perhaps a joint expert – to value not only the business interests, but also other marital assets. Without such information, the monied spouse may end up losing too much or the nonmonied spouse may not get what he or she deserves. Along with valuing private business interests (and other marital assets), valuators help divorcing spouses by providing expert witness testimony on business valuations. Indeed, valuations in divorce differ from other types of valuations. For instance, family courts may prefer the market approach for its perceived objectivity. Many courts also embrace the excess earnings method – a hybrid of the cost and income approaches – especially for small professional practices. Divorce cases often require valuators to reconcile the income approach with these preferred methods as well as with other, nontechnical value indicators, such as rules of thumb, purchase offers, loan applications, insured values and buy-sell agreements. A marital estate need not include a private business interest to benefit from an appraiser’s expertise. Typically, his or her duties include determining whether certain assets are marital or nonmarital, as state statutes can vary in the treatment of each type of asset. For example, some unscrupulous monied spouses hide assets and income, employ unorthodox accounting techniques or intentionally deplete business values. Many valuators are qualified to conduct fraud investigations if foul play is suspected. During settlement talks, valuators are often the voice of reason, keeping parties focused on financial matters and pinpointing key differences. They also can evaluate proposed settlement options – and consider the possible tax consequences, with the assistance of tax experts – while the parties sit at the negotiating table. When parties can’t settle their differences out of court, valuators can address complex financial matters by helping attorneys draft technical questions for deposition and trial. They can also assist with jury instructions or critique the opposing expert’s report. When hiring a valuation professional, an attorney faces a tough question: Does he or she need an expert or a consultant? Failure to understand the differences between these types of services can compromise a valuator’s perceived objectivity – both in and out of court. For example, experts provide unbiased opinions on technical matters. In a divorce case, an expert might appraise a private business interest or an intangible asset. Consultants, on the other hand, act as advocates for their clients, but behind the scenes rather than in court. Most jurisdictions don’t require disclosure of consultants’ identities. Accordingly, a consultant’s work product is generally not discoverable. Once you’ve determined whether you want a consultant or an expert to join your team, carefully prepare the engagement letter to be certain it clearly explains the tasks you expect of him or her. For example, do you want the person to develop case strategy and draft cross-examination scripts for the opposing expert? If so, be sure to include those tasks in the letter. 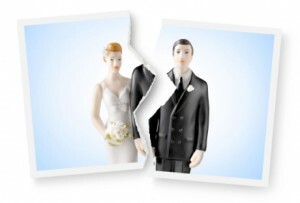 In divorce cases, there are no winners or losers – just two people who desire to get on with their lives. A competent valuation expert can help remove much of the sting from a divorce by adding a dose of common sense to the situation. If you have questions, or for more information regarding this article and recommendations, please contact Bedard, Kurowicki & Co., CPA’s at (908) 782-7900 or email info@bkc-cpa.com.